I asked for a whole Pandan Cake (to myself :9) since Daddy was tasked to send his mom to the doctor, which was a short distance away from the cake shop that sells my favourite. 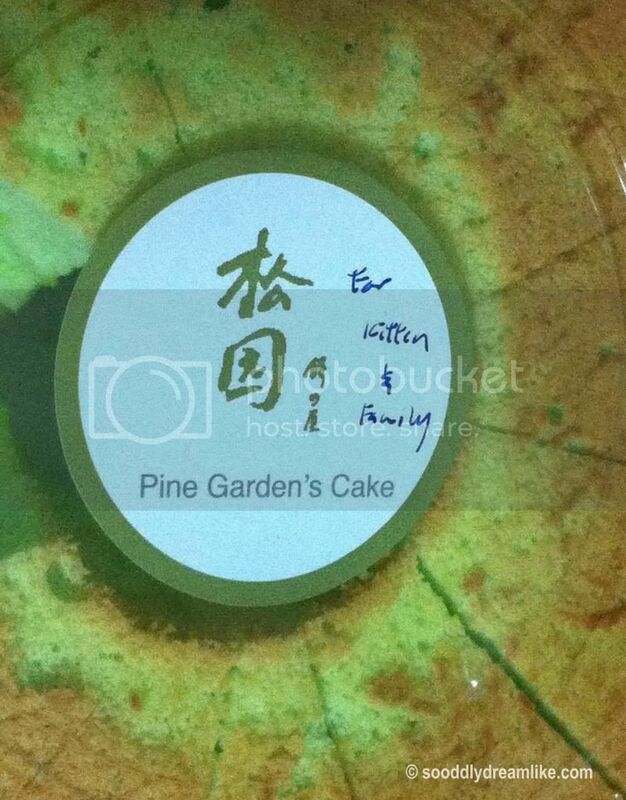 He returned with one Pandan Cake, a marked improvement in itself from his usual (see #2). That night, after everyone in the household was asleep, I sat with Daddy in the living room, whilst he fought valiantly in an online game on the iPad. But something was not right, correct? If it was for me and only me, it should just read “For Kitten”. Short and sweet. Me: YOU CAN’T EVEN DIE FOR ME?! We laughed our heads off and Daddy carried on with his game. In the next 2 minutes or so, I decided that I would blog about this. Me: Where is your paw print on the writing on the cake cover? Me: The paw print you usually put on your notes? Him: You want me to die ah? (referring to the game this time). Me: YOU CAN’T EVEN DIE FOR ME? Joy in the changing room!